Free Shipping. 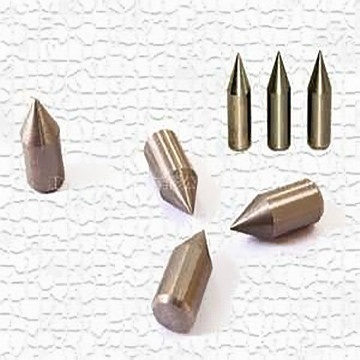 MOQ:50pcs Specification:190 grain Break-Off is a standard arrowhead equipped with one or more break-offs at its end. This break-off system gives high flexibility for arrow tuning. 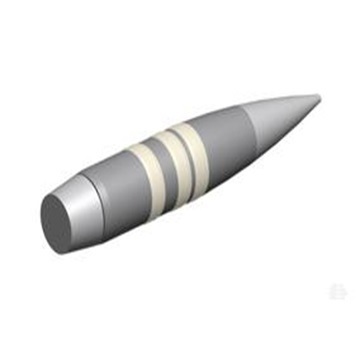 Shape: Bullet - Shape: This classic form is used very often in Fita target shooting. Through its round shape it is a little gentler to the target and easier to drag out. 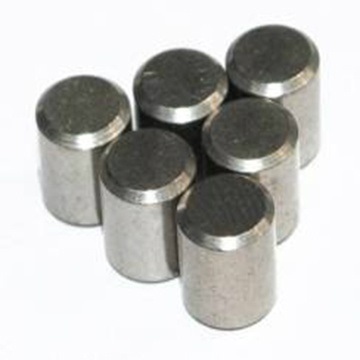 Material: Tungsten (Wolfram): Tungsten is a brilliant white metal with high hardship, density and consistency. 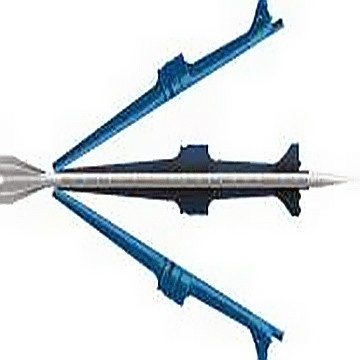 It is about three times as heavy as conventional stainless steel and is used for arrowheads to shift the weight even more into the arrow point. This gives the arrow tuning another advantage. 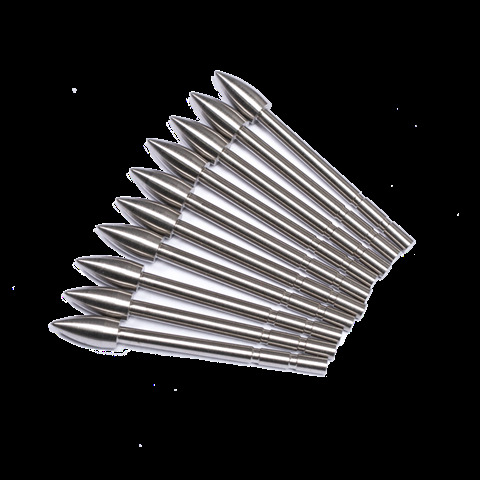 The deposit of tungsten on the surface of the earth is about 0.0001 g/t. 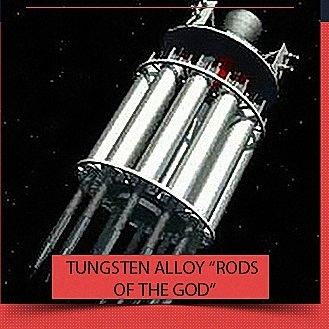 Therefore tungsten is a very rare metal and accordingly very expensive. 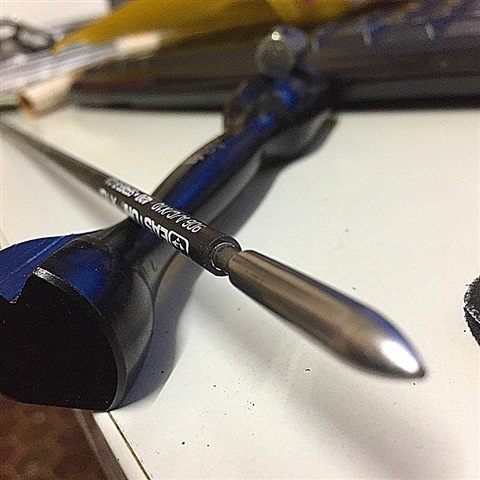 Break-Off Technology: Break-Off points conform the standard arrowheads for carbon arrows with the feature that it is possible to tune the weight. 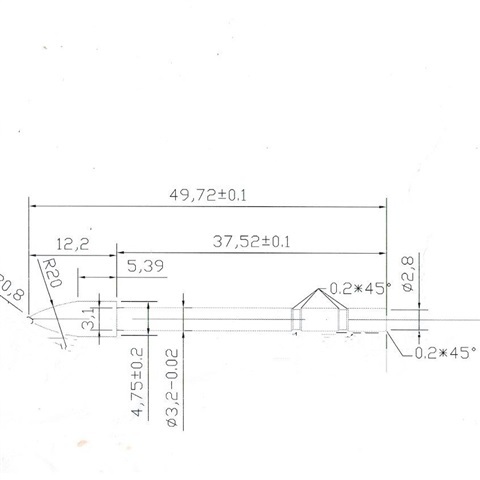 The grooves for the glue, at the shaft of the head, are purposely low- shaped. This prevents the usage of too much glue. Wrong spread glue can cause imbalance. Installation: After about 60 seconds the Break-Off point sticks perfectly together with the carbon shaft .Beforehand the carbon shaft has to be whet from the inside and cleaned with a solvent. 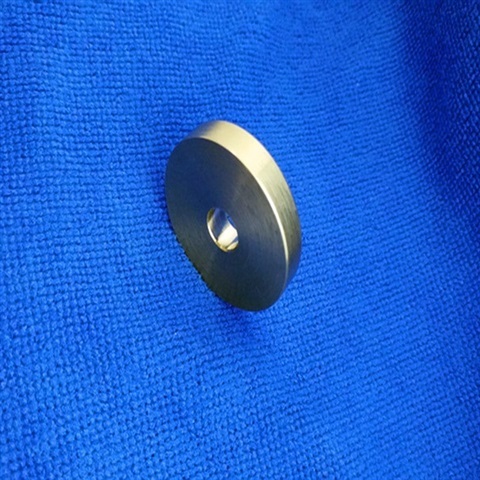 1-2 drops of Bond onto the shaft of the head and push in a rotating movement all the way until it is tight fastened. 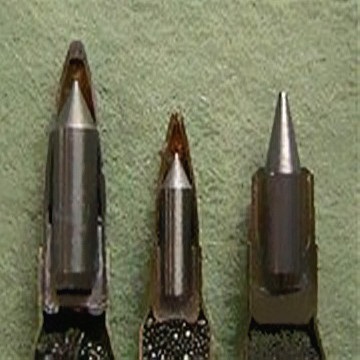 Run- point accuracy of the arrow point: 0.006 µ Break-Off: The head has one or more break-offs at its end. These break-offs can be broken off at leisure to get the ideal arrowhead weight. Special insertions at the break off area make sure that the tolerance of the weight, after breaking- off a part, is absolutely slight. 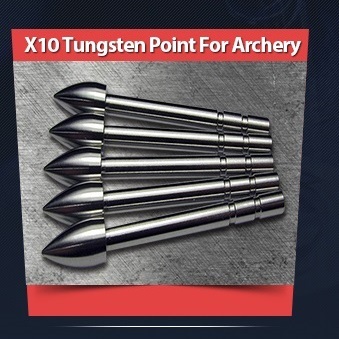 Tungsten points seems to have three advantages compared to normal points for X10's: 1. They are shorter (by about a centimeter): and hence result in the arrow having a lower side area. 2. They are heavier (by 10 grains): and hence result in a heavier arrow. 3. They seem less likely to bend (certainly compared to the standard points). 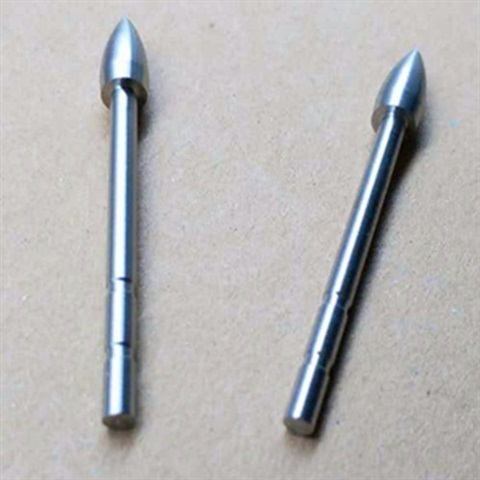 The stainless steel points will bend simply because they are long compared to the tungsten points, but will bend less than the standard points. 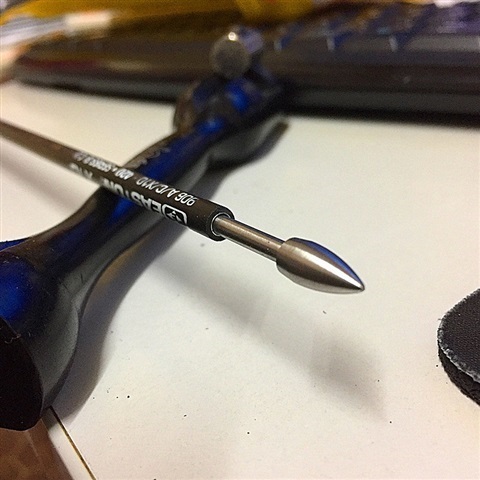 This also means that where with standard points you may need to replace them from time-to-time, tungsten points may last for several sets of arrows. Point 3 is important from the point-of-view of longevity of your arrows. If a point bends it is quite likely that the carbon near the front will be damaged, and you may lose an arrow. 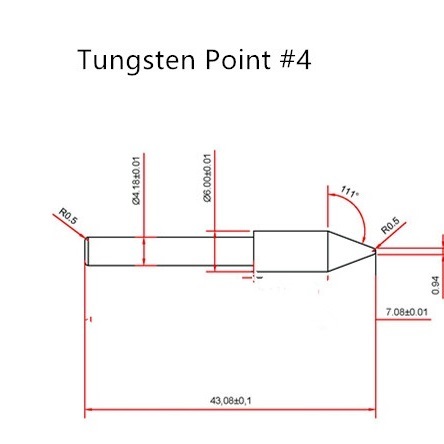 Points 1 and 2 ultimately mean that with tungsten points the arrow will drift less. By the calculation the drift is reduced by about 3% through the combination of less surface area and higher weight. Not a lot, but every bit counts. Tungsten points are much easier to pull from a wooden target frame. 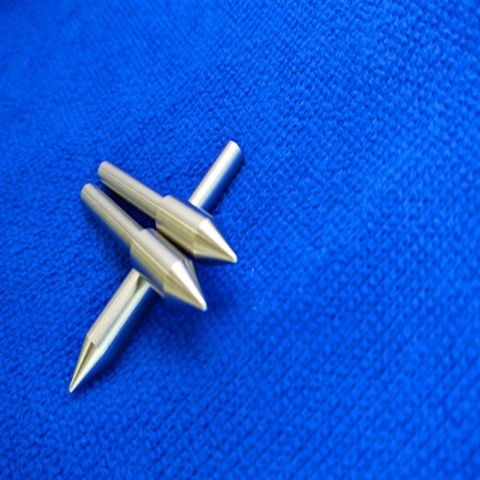 The tungsten points are turned out to be a major enhancement to survivability, especially in windy conditions. Tungsten guide rods provide a decisive advantage for all Glock owners by providing more weight at the front of the gun. At least a full ounce! This extra weight will help reduce muzzle rise allowing quicker follow up shots. Special features include a rigid Tungsten body that improves lock up by completely removing "guide rod flex". 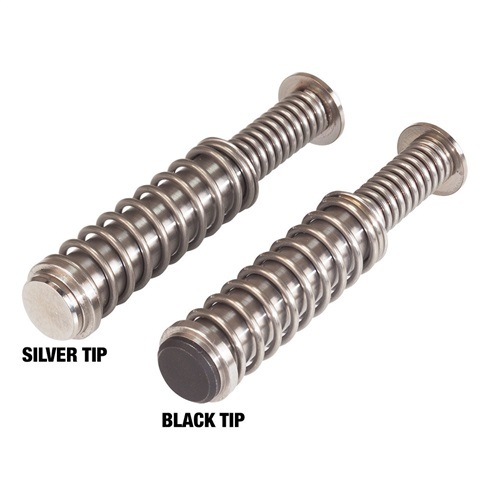 The hex screw removable tip allows the user to choose various spring weights that will calibrate the ammunition to his gun. Used by Law Enforcement and competitive shooters world wide/ . These guide rods will not chip or crack like the factory plastic guide rods are prone to. Will not damage or wear your polymer frame, and guaranteed to provide a lifetime of reliable service. Free Shipping. MOQ:10kg Tungsten alloy military sphere is widely used for military purposes. 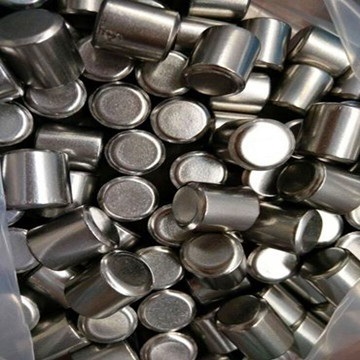 It is usually consisted of W-Ni- Fe or W-Ni- Cu or even W-Ni-Cu-Fe, some tungsten alloys also contain Co, Mo, Cr, etc. 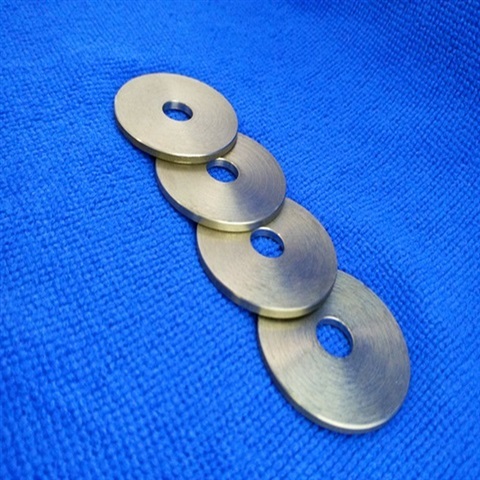 The product can be manufactured in many sizes. 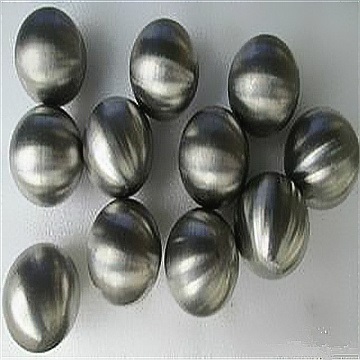 Advantages of Tungsten Alloy Military Sphere Very dense, 1.7 times heavier than lead, tungsten is the ideal metal for military purposes. 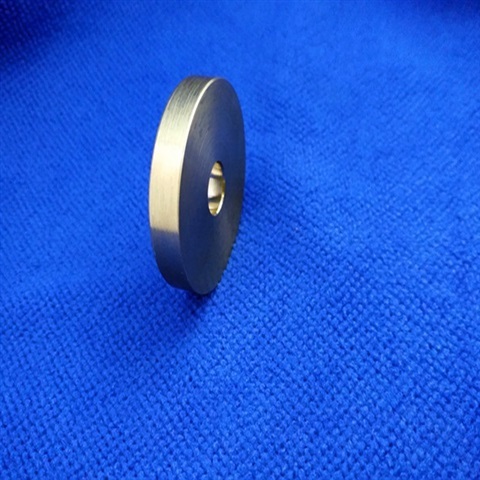 Tungsten is non-toxic and safe material, so military sphere made of tungsten alloy is often used to replace lead. Owing to its great hardness and resistance to high temperature, it is increasingly adopted for military purposes and defense.. 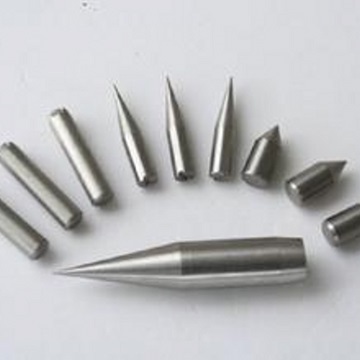 Applications of Tungsten Alloy Military Sphere Tungsten alloy can be used for bullets or pellets in various military applications such as pellets used inside a shotgun shell. 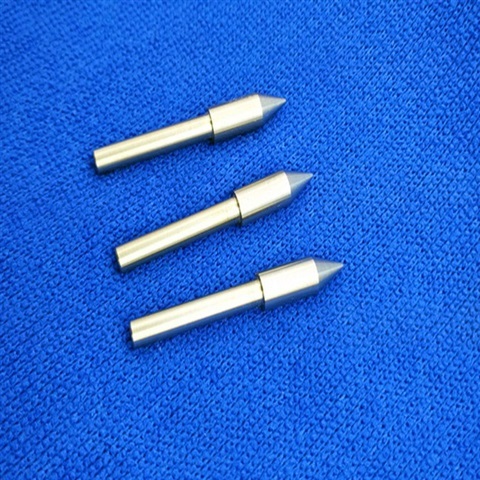 Lead shot and bullets have been banned in many areas bullet head tungsten alloy military fittings because of the environmental concerns. 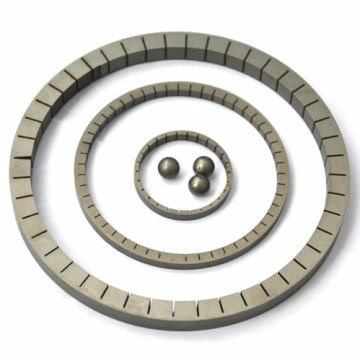 The main substitute materials are steel, bismuth and tungsten. 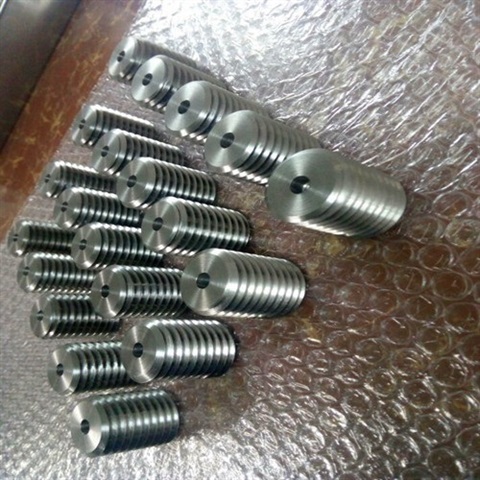 The main advantages of tungsten military sphere that is used as pellet is that it is very dense, and very hard. 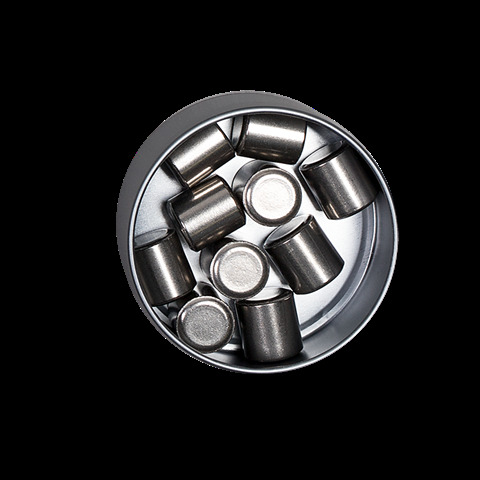 The density allows the pellets to travel longer distances without loosing energy, while the hardness allows the pellets to keep their shape while being accelerated by the powder charge, which increases the muzzle velocity. 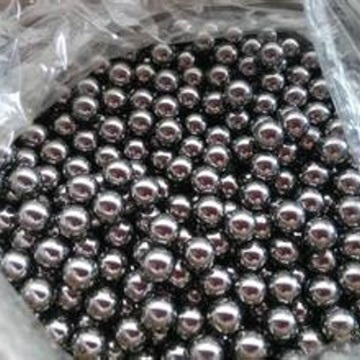 Tungsten alloy spheres are also used in hand grenade, armor piercing projectile, prefabricated fragments. 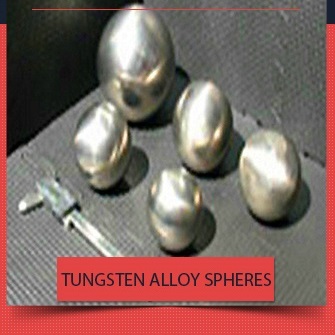 Tungsten military sphere is small in volume and very dense. Allowing them to penetrate armor and damage targets. 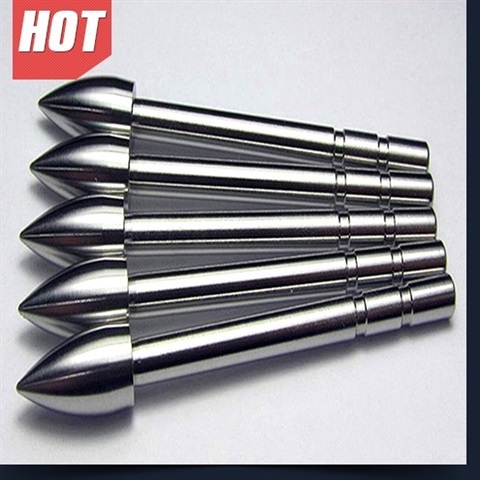 Tungsten alloy has been used in missile weapons, armor piercing ammunition, tungsten alloy bullet, shrapnel head, core for armor-piercing bullet measurement, kinetic energy penetrators, armor and shells. 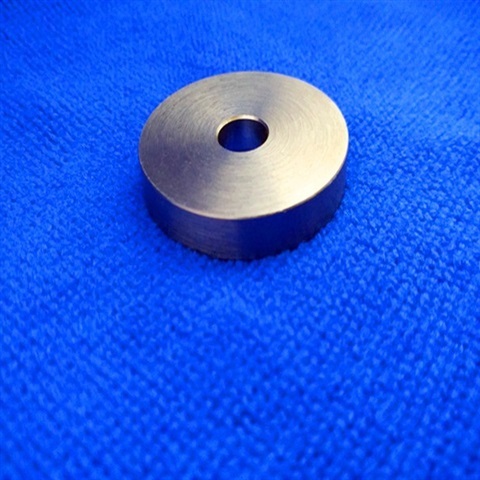 Tungsten Alloy(wolfram) Military Swaging Rod Swaging greatly increases tungsten alloy rod's ultimate tensile strength. 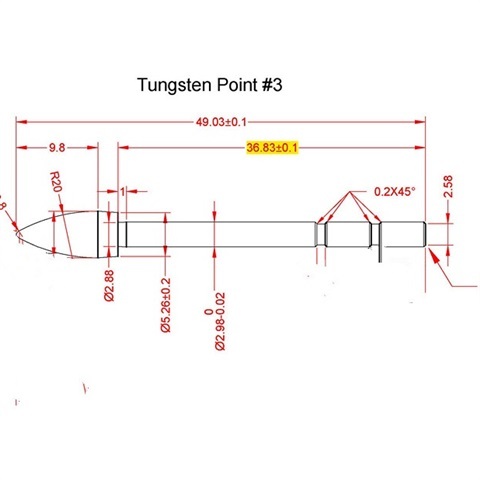 The ultimate tensile strength of regular tungsten alloy rod is 1050 MPa . 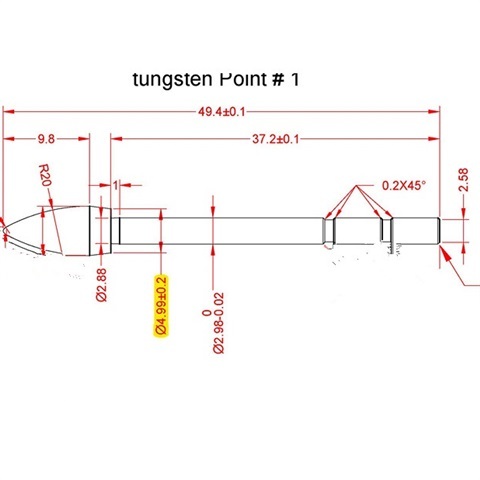 However, after swaging, the ultimate tensile strength can reach 1200 MPa min, we can even control tungsten alloy military swaging rod at 1500 MPa. 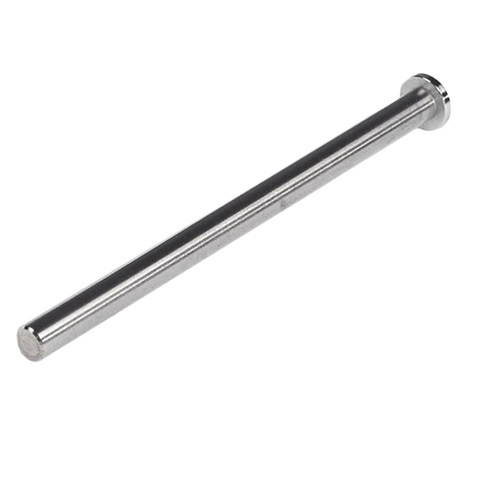 Tungsten alloy military swaging rod is one of our main products. 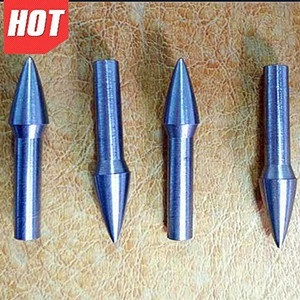 The composition of tungsten alloy military swaging rod is 90%WNiFe. 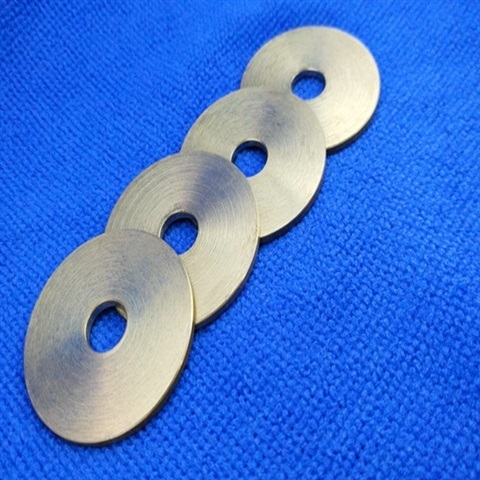 Our common types: Diameter: 12mm~28mm, Length: less than 400mm; Diameter: 20mm~400mm, Length: less than 500mm. 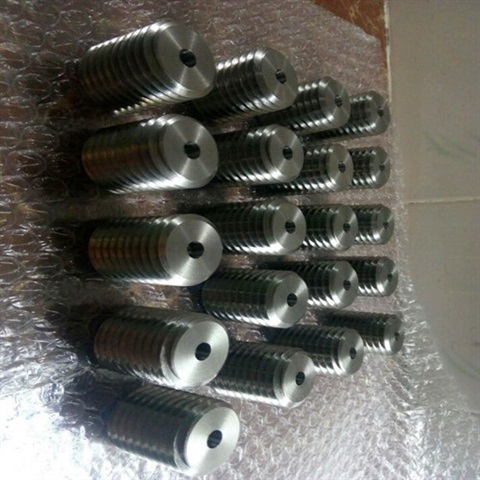 We can manufacture other products according to customers' specific requirements. Tungsten Alloy(wolfram) Swaging Rod Main Properties for Military : * High density * High melting point * Small volume * Excellent hardness * Superior wearing resistance * High ultimate tensile strength * High ductility * High temperature resistance * Low vapor pressure Main Processing of Tungsten Alloy(wolfram) Swaging Rod: 1). Mixing 2). Pressing 3). Sintering 4). Heat treatment 5). Swaging 6). 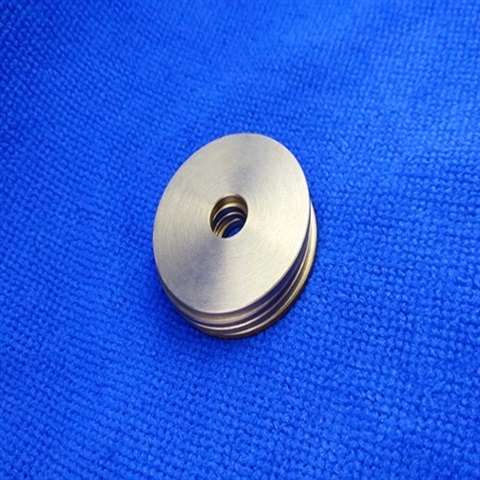 Machining Repeated heat treatment and swaging is performed need at least several times. 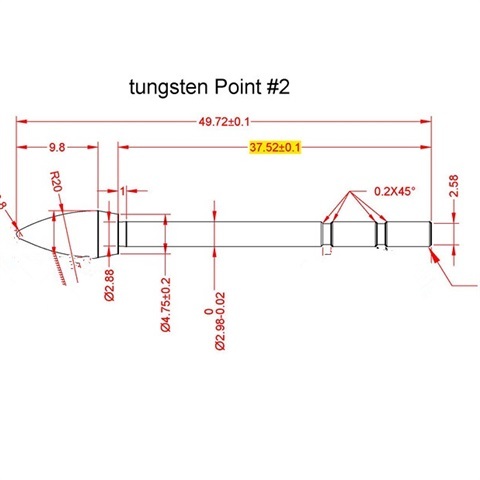 In this way, tungsten alloy swaging rod can be improved at tensile strength as well decrease elongation and impact toughnes. 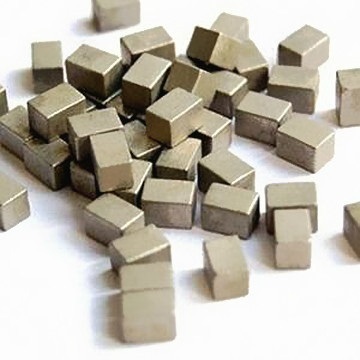 Tungsten alloy(Wolfram) fragment can be used for military purposes.It control has included providing grooves on either the external or the internal surfaces of the wall of the case or a liner inserted into the case. 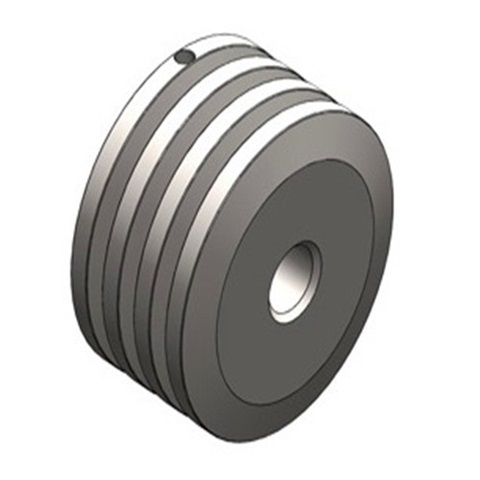 The grooves create stress concentrations that cause the case to fracture along the grooves forming fragments. While these devices have demonstrated the ability to create it, they are not completely satisfactory for several reasons. It can be widely used in military defense. 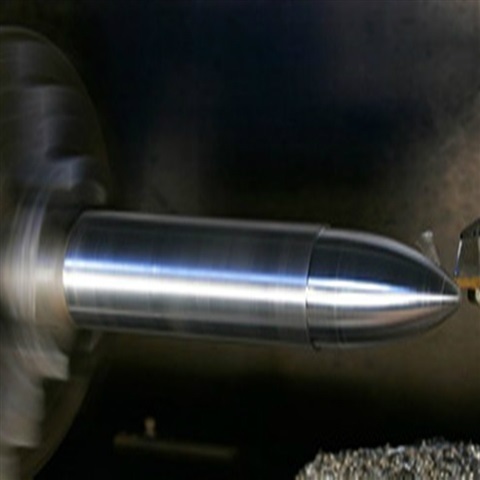 One prior approach to inducing tungsten alloy fragmentation control to an integral warhead and missile structure has been to include grooves on either the external or internal wall surfaces of the structure to delineate fragments or projectiles in a combined warhead and missile structure. Explosives are installed in proximity to the grooves. 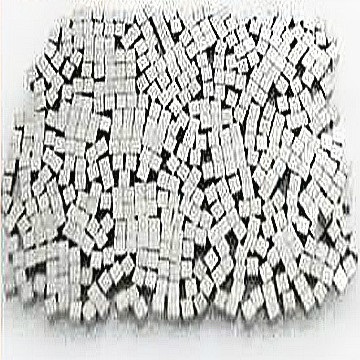 When the explosives are detonated, the grooves create stress concentrations that cause the structure to fracture along the grooves, forming tungsten fragments. Still another approach is the dual-wall naturally fragmenting (and combination natural fragmenting and scored wall) warhead. While these types of warheads have provided somewhat of an improvement over single-wall naturally fragmenting warheads, current dual-wall designs generally require thermal conditioning manufacturing methods to mate walls together with tight circumferential tolerances. 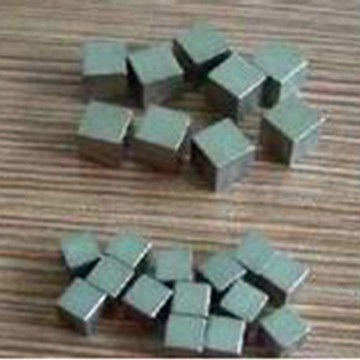 We can provide different size tungsten alloy fragment according to your requirement, tungsten fragment is one of our leading products.